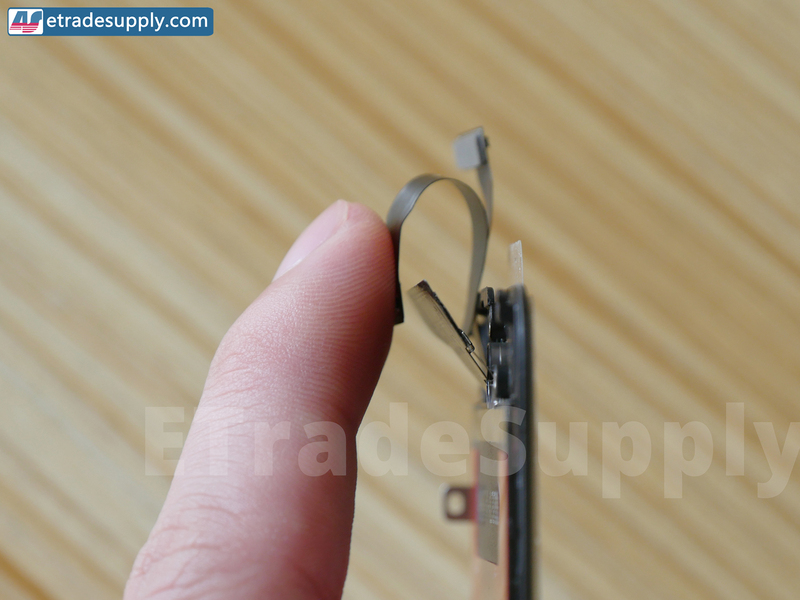 The price for the iPhone replacement screens varies from supplier to supplier, so as the quality standards. “Best quality”, “OEM”, “Best Original”, “Premium Quality”, “100% Original”, “AAA+” etc all stand for the best quality parts one supplier can offer. However, most of those screen assemblies are not 100% original. For those screen assemblies, the LCD is original, while for other part like flex cables, frame, glass lens, metal shield, many factories/suppliers tend to use high copy aftermarket one instead to earn more money(iPhone screen assembly with OEM flex cable is 3-5 USD higher in cost than those with aftermarket flex cable). Besides, Unstable touch function such as ghost touch/unresponsive touch problem is more likely to happen on aftermarket flex cables rather than OEM ones after certain time of being used. 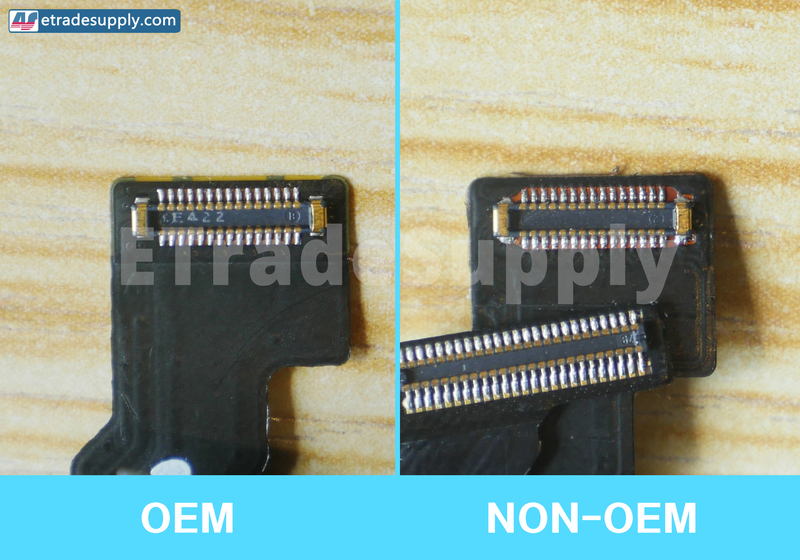 Here we’d like to share with you some information about how to distinguish whether the flex cable on the iPhone screen is OEM or not. 1. Check whether there is a QR code on the back of the LCD flex cable. For the OEM flex cable, there is a QR code right on the metal piece on the back of the connector. Peel off the gray foam covering on it then you will see. 2. Check whether there is a code on the LCD connector. This code exist on the OEM flex cable connector. 3. 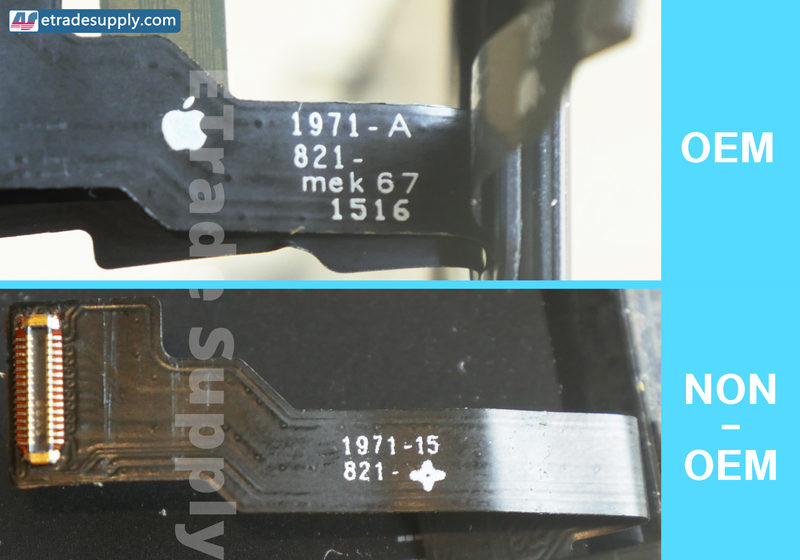 Check the codes(with Apple logos) printed on the flex cable. The codes printed on the OEM flex cable is much clearer than the copy one. As the aftermarket flex cable is evolving all the time, the aftermarket flex cable with Apple logo do exist now. These 3 ways may not be correct as time passing by. 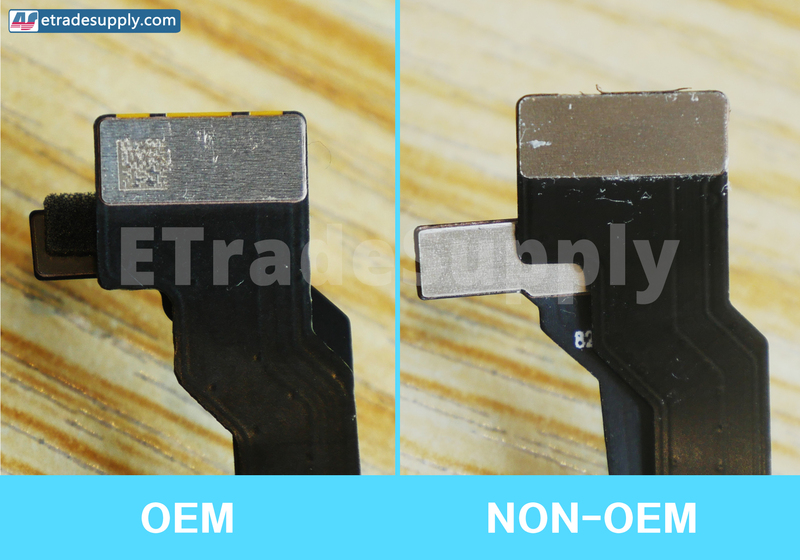 There is another way to distinguish the OEM flex cable, test the flexibility of the flex cable. When you bend the flex cable as showed in the picture, the OEM flex cable feels soft while for the aftermarket one, it feels hard and solid. If you have any questions regarding how to distinguish the OEM flex cable from aftermarket one on the iPhone screen, just leave your comment below! What you should know about replacing screen parts!